World-class industrial and process water and wastewater treatment training delivered by leading industry experts. WTS 0100 “Advanced Water & Wastewater Treatment for Industrial & Process Applications” is an intensive five day professional water and wastewater treatment training course developed by the industrial and process water and waste water specialists at WTS. The course is designed for water and wastewater treatment professionals including engineers, plant operators, environmental and process specialists, facilities managers, maintenance and engineering contractors, and those with responsibility for the operation and management of industrial and process water systems. WTS 0100 provides an in-depth review over five days of many of the common water and wastewater treatment systems used in industrial and process applications, together with the issues faced by those responsible for the implementation, operation and on-going maintenance of such systems. The course includes an introduction to water chemistry and how this impacts its use, it also covers the pre-treatment of water, the treatment of boilers and steam generating plant, cooling water treatment including cooling towers, water treatment for closed system heating and cooling installations, and industrial wastewater treatment. Cooling water treatment, cooling towers and evaporative cooling systems. Water treatment for closed system heating and cooling installations. Additionally, the course also includes a number of practical examples and workshop activities, including how to conduct basic fault-finding investigations and prepare cost effective solutions to common problems affecting industrial and process water treatment installations. Our training module WTS 0100 “Advanced Water & Wastewater Treatment for Industrial & Process Applications” is delivered over five days and examines the following essential subjects to ensure candidates develop the skills and practical knowledge required to fulfil their responsibilities with confidence. An introduction to the course covering the basic chemistry of water and pre-treatment for industrial and process waters. 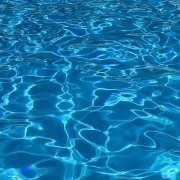 Review of the common sources of water and where water is used in domestic, commercial, industrial and process environments. 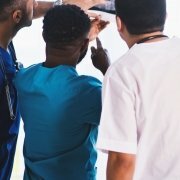 An introduction to water testing and analysis. A review of Water analysis equipment and how it is used. A review of typical pre-treatment processes, how they work and selecting the most suitable options. Understanding the operation of industrial water softeners, how they work and the selection process. Industrial and process applications for pre-treatment, where they can be used and how to selectthe most suitable solution. A review of reverse osmosis (RO) and desalination technologies. A review of other membrane technologies, membranes and fouling issues. Worked examples and practical group sessions to reinforce the theoretical work covered during day 1. 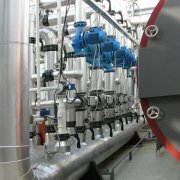 Introduction to boiler water treatment for industrial steam generating plant and equipment. Understanding basic boiler system design. 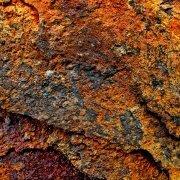 Understanding steam condensate systems and condensate corrosion issues. 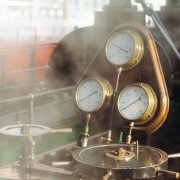 A review of techniques for off-line and idle boiler protection. Understanding the importance and need for boiler inspections and boiler system surveys. A review of best practice boiler treatment and BS2486. Worked examples and practical group sessions to reinforce the theoretical work covered in day 2. 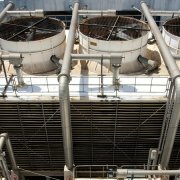 Understanding the effects of the accumulation of suspended solids in cooling systems reviewing typical problems encountered, monitoring and prevention. Worked examples and practical group sessions to reinforce the theoretical work covered in day 3. Understanding water testing for closed systems and the interpretation of results. Worked examples and practical group sessions to reinforce the theoretical work covered in day 4. Troubleshooting and how to conduct basic fault-finding when things go wrong. A review of the design and development of wastewater treatment processes. A review of typical filtration techniques. Understanding the importance of wastewater quality and performance standards. Worked examples and practical group sessions to reinforce the theoretical work covered in day 5. Multiple choice examination covering the course content from days 1, 2, 3, 4 and 5. Our main UK water and waste water treatment training centres are located in central London serving the South and South East England, Manchester (North West), Birmingham (Midlands), Bristol (South East England and Wales), Leeds (North and North East) and Glasgow (Scotland), and these are supported by satellite training centres in Belfast and Newcastle. 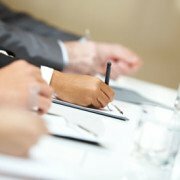 We can also deliver all our training courses, including bespoke courses at client premises throughout the UK and internationally. Who would Benefit from our Advanced Water & Wastewater Treatment Training Course? Typical candidates benefiting from WTS 0100 will be water treatment engineers, plant operators, environmental and process engineers, maintenance and engineering contractors, and those with responsibility for the operation and management of industrial water and waste water treatment systems. What will you Learn about Treating Water & Wastewater on WTS 0100? WTS 0100 “Advanced Water & Wastewater Treatment for Industrial & Process Applications” is an intensive course designed to give candidates a good understanding of the operation of industrial water and waste water treatment systems and relevant regulatory frameworks. Water chemistry and its impact on plant and equipment. Candidates will develop the skills to perform basic water analysis tests and learn how to interpret the results so as to effectively monitor, control and manage the treatment of important water and wastewater parameters. Additionally, candidates will develop the skills to conduct basic fault-finding and prepare cost effective solutions to common problems affecting common water and waste water treatment systems. WTS 0100 “Advanced Water & Wastewater Treatment for Industrial & Process Applications” is an intensive course designed for professional operators with responsibility for the operation and maintenance of industrial water treatment systems. Prior knowledge and practical experience of industrial water and waste treatment issues associated with the management of steam boilers, cooling systems and closed systems is essential. We recommend a minimum of 6 months practical in-field experience before starting this course. Additionally, familiarity with liquid, solid separation processes and experience of waste water treatment plant operation would also be of benefit. On successful completion candidates will receive a certificate of attainment issued by Water Treatment Services for the course “Advanced Water & Wastewater Treatment for Industrial & Process Applications” – WTS 0100. How Long is the Course WTS 0100? The duration of this course is five days. Training materials, lunch and refreshments are all included. Please note that hotel accommodation is not included although our training team can assist with local hotel reservations. Water Treatment Services offer a full range of specialist industrial water and wastewater treatment courses designed to support candidates and organisations with responsibility for the operation and management of commercial, industrial and process water and wastewater treatment systems. 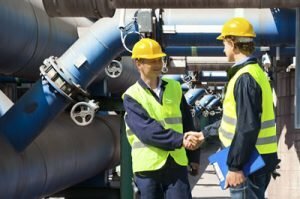 Delivered by experienced water and wastewater treatment experts, our courses help candidates develop the skills and practical knowledge required to fulfil their responsibilities with confidence. If you are interested in this advanced water and waste water treatment training course or any of our other industrial water treatment courses and would like to receive further details, including dates and venues please contact us. 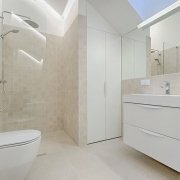 Contact us now for more information about WTS 0100 or for your FREE, no obligation quote.